In recent years, robo-advisors have become increasingly popular in Canada. In many cases, they provide a cost-efficient way for inexperienced investors to get a good start on their portfolios. If you aren’t sure how to get started investing, robo-advisors offer low costs and a simple long-term investing strategy. 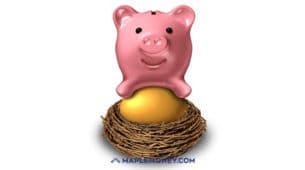 But what if you already have a fairly sizable nest egg? What if you have a larger portfolio? Can you get the same benefits? Thanks to Nest Wealth, it’s possible to get a personalized ETF portfolio, even if you’re already well on the road to investing. This relatively new company offers help managing your retirement portfolio for less. This is a big deal because Canada is known for its expensive financial products. We pay more mutual funds than our neighbors to the south, and fees are out of control. In fact, our fees aren’t just higher than those found in the States. We pay more for investing than anywhere else in the developed world. And it costs us tens of thousands of dollars over our lifetimes. Being able to lower fees can help you improve your real returns over time — especially since that money is now in your account, earning compounding returns. Nest Wealth aims to change that. With much lower fees and a cap on monthly fees so you don’t have to worry about being charged even more as your portfolio succeeds, Nest Wealth is providing a new way to invest. This Nest Wealth review will provide you with the information you need to decide if this robo-advisor is the right choice for you and your money. Like many other robo-advisors, Nest Wealth uses concepts of asset allocation under Modern Portfolio Theory to create a personalized portfolio based on your risk tolerance. Exchange-traded funds (ETFs) are used to build your portfolio. ETFs are low-cost and easy to trade. As a result, they are ideal for this type of robo-advisor. Nest Wealth was started by a man named Randy Cass. He has more than 15 years in the financial services industry. Not only that, but he has managed huge portfolios. He understands what it’s like to manage larger portfolios and make them successful. Not only that, but he was also a host on BNN, for Market Sense. He has a business background and plenty of credentials. Cass also knows how to assemble a team. The members of the Nest Wealth team include plenty of people from the financial and tech worlds. Plus, the client assets are held by a subsidiary of National Bank, which owns a minority stake in the company. This might put your mind somewhat at ease, knowing that a major player like National Bank is involved — even though National Bank isn’t running the show. First of all, it’s important to realize that no investment is completely safe. There is always the chance that you will lose money, that the stock market will crash, or any number of other things will happen. However, it’s important to note that the company takes steps to make sure it is in compliance with Canadian law, and that your information and accounts are protected. Nest Wealth client accounts are held at National Bank Correspondent Network, which is a National Bank subsidiary. As a result, your account is protected by the Canadian Investor Protection Fund, up to $1 million, against bankruptcy or insolvency. New Wealth also follows the regulations set forth by the Ontario Securities Commission. On top of that, Nest Wealth encrypts communications between their servers and your browser, and everything is securely stored. Nest Wealth makes due diligence efforts to protect your data. You can also open a joint account or a trust account. These are non-registered accounts that you can use to help you meet your investment and wealth goals. It’s also possible to open a corporate account with Nest Wealth. One of the big reasons Nest Wealth is so desirable is due to the low fees, especially for larger portfolios. Nest Wealth offers a handy fee calculator that can help you compare what you would pay each month with mutual funds. The reality is that mutual funds are much, much more expensive. At first, that seems like a lot, but when you consider that a portfolio of $150,000 would cost $293 each month in management fees with “regular” mutual funds, it doesn’t seem so bad. In fact, it’s a huge savings of $113 each month. What if you were able to keep that in your account, putting it to work for you, instead of paying it out for management? You can see where that would be a huge bonus. The main downside to Nest Wealth fees, though, is the fact that they aren’t that great if you have a smaller portfolio. If you are just starting out, and have a portfolio value of $10,000, the $20 per month you’ll pay isn’t as cost-efficient. 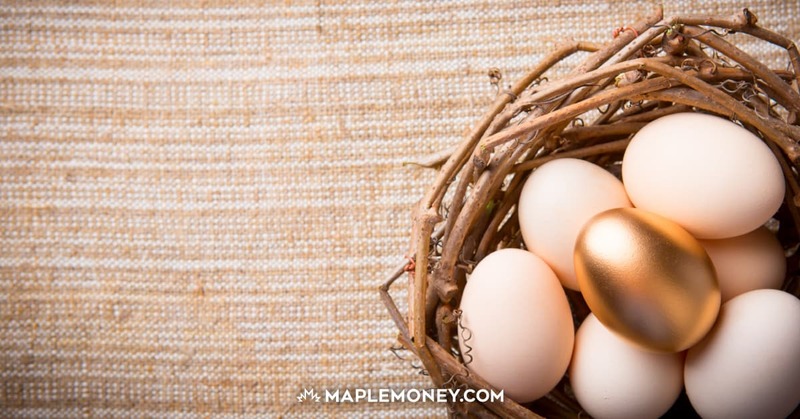 In fact, MapleMoney readers can have the first $10,000 of their portfolios managed for free with Wealthsimple. If you have a portfolio value of $20,000, you’ll pay Wealthsimple the equivalent of $8.33 per month for management. Nest Wealth starts being more competitive with other robo-advisor services in Canada, once your portfolio reaches a balance of about $50,000. As your balance grows, Nest Wealth is an even better deal, since the fees are capped at $80 per month. With services that charge an annual rate based on your balance, your fees will continue to rise along with your balance. There’s no way to predict any type of investment returns. Market conditions, economic events, and what you’re invested in all make a difference in the ultimate result. Plus, because Nest Wealth relies on broad-based ETFs, you’re not going to see amazing market-beating returns. Instead, your returns are more likely to keep pace with the market. However, that’s not a bad thing. Over time, if your portfolio reflects long-term market trends, you should be able to see compound returns that will help you meet your goals. The ETFs used to compose your personalized portfolio include bond funds, stock funds that include the TSX and the S&P 500, and an all-world fund. Plus, the assets include a U.S. real estate investment trust (REIT) ETF. This allows you to have plenty of diversity in your portfolio, in terms of asset classes and geography. Nest Wealth will take your risk tolerance information and build you a portfolio based on your goals and risk tolerance. Your returns will vary, depending on the where you’re at in the cycle. As you get closer to your goal (whether it’s retirement or sending your kid to college), the asset allocation will change. Nest Wealth will rebalance, so the returns will change. However, they will still be in line with your goals and your time frame. Nest Wealth offers a lot of perks. First of all, it offers tax-efficient asset allocation and customized portfolio creation. But it doesn’t stop there. You also get a portfolio manager. On top of that, you can receive professional support from a registered advisor. Choose whether you want to communicate via chat, email, or phone. It’s even possible to schedule a call with your dedicated advisor. This is a great way to make sure you understand your portfolio, and why it’s assembled the way it is. Finally, Nest Wealth offers you transparent fee and performance reporting. The online dashboard is easy to use and intuitive. Its slick design is clean and easy to read. You can see how things are going, and even see what sort of rebalancing is going on. It’s even possible to see the fees you’re paying. Your annual report contains everything you need to know about your investments through Nest Wealth. Nest Wealth is an impressive robo-advisor. It’s clear a lot of thought has gone into developing this product and making it user-friendly and helpful to long-time investors. The personalized portfolio and access to a registered advisor for a relatively low monthly cost are two of the biggest selling points. Plus, it’s nice to see a little real estate (in the form of a REIT ETF) in the mix. However, Nest Wealth probably isn’t the best choice for investors just starting out. While the customized portfolio is nice, and you can benefit from the advisor, the reality is that the subscription model means that you’ll pay a higher percentage of your balance in fees when you have a small portfolio. Figure out on your own if this is the right move for you. If you’re just beginning, perhaps start with another robo-advisor, and then switch to Nest Wealth when your portfolio gets bigger. If Nest Wealth will keep pace with the market, why not just buy a few broad-based ETFs and keep life simpler – and probably cheaper? For example, SPY (the ETF for the S&P 500, as you know) costs just .11% per year. Your portfolio would have to be about $1 million for the SPY fees to equal Nest Wealth’s fees. When you say that under Nest Wealth asset allocation can be tax efficient, I am unsure how this can be. Any switching of assets from one ETF to another will trigger a taxable gain, assuming the ETFs have gained and not lost , whether via Nest Wealth or in a self-directed portfolio. And, just to be curious, how is the advice from a human advisor going to help? Nest Wealth’s computer algorithm has determined the optimum ETF mix, so why is the intervention of a human advisor helpful? Hi Len, you’ve got some good points here. Yes, investing on your own in ETFs is cheaper if you’re buying them commission-free. With any robo-advisor, you’re basically paying for convenience and reliability. Not everyone feels comfortable designing a portfolio of ETFs and not everyone wants to stay on top of rebalancing every quarter or year. Asset allocation can be rebalanced in a tax-efficient way by purchasing the underperforming ETF and is an example of why the guidance of a robo-advisor can be helpful. I agree about whether there is a need to contact an advisor, but it might be as much about the emotions of investing and wanting someone to talk to when they don’t understand the ups and downs of their investments. Why would it be important that Nest Wealth was started and run by Randy Cass? Yes it is noteworthy that he has a good track record with actively managing large portfolios but this new venture of his solely deals with passive index funds guided by computer. Save on expense fees and do it yourself. Hi Bernie, you can definitely save more by doing it yourself, but not everyone is going to want to. While I invest myself through an online broker, I recommend robo-advisors as the simplest way for someone to get started investing in low-fee ETFs that are rebalanced for you. Disagree. The simplest way is mutual funds. Bernie, most mutual funds charge high MERs and the closest one to an ETF (TD e-Series) is far from simple to start. I look at long term performance and management, not fees. Comparing fees is only applicable if the holdings of the funds compared are the same or similar. If you look at mutual funds like the Mawer offerings you’ll see many of their funds outperform their benchmarks over 80% of the time and easily over the long term. If one get wrapped up in fees and overlooks performance they could be leaving a lot on the table. I speak from experience I’ve been an investor for over 30 years. The Mawer funds are decent, especially because their MER is on the lower side, but they’re a good example of what I caution people on. The point being, that it’s difficult for mutual funds to beat the market because, on average, they are the market. Some will do better, some will do worse, but then there is 1-2% of additional MER that leads to less than 20% of funds beating the market. In the case of Mawer, the Canadian and International funds have consistently beat their index, but that still doesn’t predict the future. And if you have the US and bond funds to round out your portfolio, then any gains are wiped out by these two consistently underperforming funds. Tom if you want simplicity and overwhelming odds of beating the market consistently I suggest the Mawer Balanced Fund. Its beaten its benchmark 14 out of 17 years between 2000-2016. Over the period the average annual return for the Mawer fund is 7.88% vs 5.68% for the market benchmark.  The performances are measured post fees and expenses which is standard for the course. I’m no math wizard but I’d bet I’m thinking it would take a couple of decades of constant underperformance for the market to top this fund. A simple purchase of this one- stop fund would be simplicity at its finest for the inexperienced investor. For the record it is not difficult to outperform the Canadian equity market due to its “goofy” makeup. The index consists of roughly 20% energy, 10% basic materials and 35% financials. I’m a stock only investor. If my portfolio had this kind of mix it would be doomed for failure. I find these reviews you are doing very helpful. Thanks! A technical question. Are their fees tax deductible if you are have a taxable investment account with them, like how a fee-based advisor would be? That would effectively reduce their fees even more if you are in a high marginal tax bracket. They are already so low, it would not be a deal breaker by any stretch, but would make it even awesomerer! 1) Where is the detailed comment I submitted earlier? 2) If we are required to use our real names, why do I see the name “Loonie Doctor”? Surely that is not real. Len, your comment is at the top and I had replied to it. There is no requirement to use real names. I spoke to Nest Wealth. They use Fidelity as their clearing house and they charge $8/trade. This cost gets passed on to you, but they cap it at $100/year per account. That’s probably where you got your $100 admin fee number from. They also charge $36/account/year for registered accounts and $25/account/year for non-registered accounts (although I think they waive this fee for your first account). You’ll need to factor all of that in when you calculate the cost. Even with all of this factored in, Nest Wealth is still the lowest cost Robo Advisor in Canada that I can find for large portfolios, as the cost is capped regardless of how large your portfolio gets. My biggest issue with Nest Wealth is that they use XSP for US equity exposure. XSP is CAD hedged and I’m not a fan of hedging. I would prefer it if they used XUS, IVV, VFV, or VOO, which are the same, but unhedged. P Erik, I forgot to answer your last question in my previous comment. Yes, the $80/month fee is per individual, so between you and your wife, it’s $160/month.